NHPR’s winning submissions included reporting by Lauren Chooljian on efforts by the state’s gun shops and public health experts to mitigate suicides by firearms. More first-place, hard-hitting coverage came from Britta Greene, whose story on a small New London medical practice spoke to larger issues relating to the country’s healthcare system and the opioid crisis. On a lighter note, Todd Bookman’s feature piece on a women’s synchronized swimming team in Hancock gave a glimpse into small-town life, traditions and camaraderie. NHPR also received two merit awards—for Best Use of Digital Media for the station’s comprehensive digital news coverage. And in the Documentary News category, Senior Producer Taylor Quimby received a Merit award for “The State of the Free State,” a deep dive into a libertarian movement that has taken root in the Granite State. 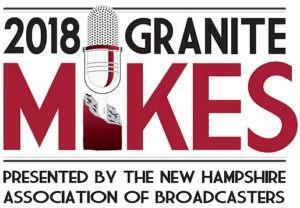 Congratulations to all the New Hampshire broadcasters who garnered accolades in this year’s competition!